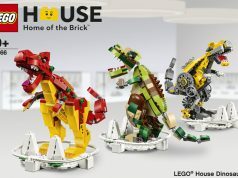 LEGO will celebrating the 40th anniversary of the LEGO minifigure in April and there are things happening next month to commemorate the event. One of the things is the release of the Series 18 LEGO Collectible Minifigures which will have a special Classic Police Officer to find. 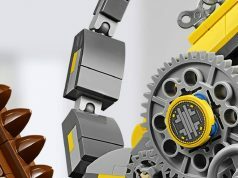 Another thing they are doing is releasing an exclusive promotional LEGO Minifigure Factory (5005358). According to the April 2018 LEGO Store Calendar, you can get for free with a purchase of $75 or more from April 1-15, while supplies last. The set itself looks like it will be using the cardboard box it comes in as part of the layout. The build will include a factory with some microfigures such as a classic spaceman, a policeman, and what looks to be P.I.X.A.L. from Ninjago as well as a red wagon on the side. The minifigure also looks interesting as it seems to have a nice looking yellow shirt. 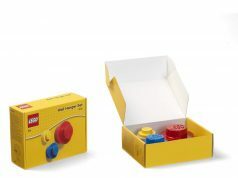 One of the bummers of this set is that it does use part of the box as the setting and not using LEGO bricks to create the walls. I think this is a misstep but we’ll have to get a clearer look when the official images come out in a few weeks to make a judgement on it. What do you think of the set and will you be picking it up next month?